Music is a peculiar thing. It lives in the air, exists only when performed. Music can be owned but not possessed, felt but not touched, shared but not diminished; it is always different but always the same. Musicians paint the air. I believe that musical traditions should be palettes to be investigated, not merely portraits, however beautiful, to be replicated. 21st century musicians must be informed by, but not conformed to, the past. They must build on a diversity of traditions to create altogether new traditions. This is the transformative cycle of musical development and the very essence of music itself; that peculiar art form that lives only in the mutable present. An educator, scholar, producer, songwriter and guitarist, Rey is also the Associate Dean for Strategic Initiatives and Innovation and a Professor of Music Business and Entertainment Industries at the FROST School of Music at the University of Miami. This multi-faceted educator and musician is Director of the Bruce Hornsby Creative American Music Program, and has been responsible for expanding the educational opportunities offered by the FROST School of Music overall. An accomplished multi-tasker, he also serves as Director of the Bruce Hornsby Creative American Music Program, an innovative performing and songwriting program curriculum developed with Frost School alumnus Bruce Hornsby to incorporate both American roots music and contemporary composition. The program has become one of the school’s fastest growing areas of study. It also offers those with an interest in electronic music performance an opportunity to become full music majors, a first for a major music school in the U.S.
It’s that degree of commitment and initiative that Dean Sanchez has not only brought to the FROST School of Music, but also to the university as a whole. He was instrumental in establishing the first-of-a-kind joint JD/MM and MA degrees in Music Business & Entertainment Industries and Arts Presenting & Live Entertainment Management in cooperation with the University of Miami School of Law. He also spearheaded the development and launch of the online extension of the FROST School of Music -- FROST Online -- allowing students to take advantage of the aforementioned Master’s programs from the comfort of their computers. Dean Rey not only brings that enthusiasm and exuberance to the classroom, but to every project he undertakes. An accomplished artist in his own right, Dean Sanchez has worked with numerous international artists, including Latin superstar Chayanne, for whom he’s served as his longtime musical director. His lengthy career has found him associated with such distinguished organizations as EMI Music Publishing, Sony Music, Universal Music and Columbia Pictures Publications among others. In addition, his band Yerba Blue released its debut album Americaña in 2010, a fusion of Bluegrass, Americana and Latin music. The author of numerous educational guitar books published by FJH Music Publishing, Dean Sanchez is a voting member of the Recording Academy, a former President of the Music and Entertainment Industry Educator’s Association (MEIEA) and a current and founding member of the Board of Directors of the Association for Popular Music Education (APME). A specialist in international music copyright, he wrote an article, “Unfair? The Unique Status of Sound Recordings under U.S. Copyright Law and its Impact on the Progress of Sample-Based Music,” which was published in the 2012 edition of the Journal of the Music & Entertainment Industry Educators Association. Dean Sanchez holds degrees in Music Theory/Composition and Studio Writing/Production. Long-time Musical Director for Latin superstar Chayanne. Authored numerous guitar-oriented publications with FJH Music and CPP/Belwin. “Unfair? The Unique Status of Sound Recordings under U.S. Copyright Law and its Impact on the Progress of Sample-Based Music,” published by the Journal of the Music & Entertainment Industry Educators Association. Rey Sanchez song catalog at SESAC. 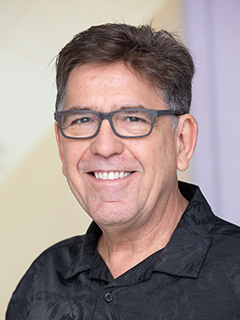 For a more complete overview of Dean Sanchez’s accomplishments, including professional experience, honors & awards, recordings, publications, and more please see his Curriculum Vitae.